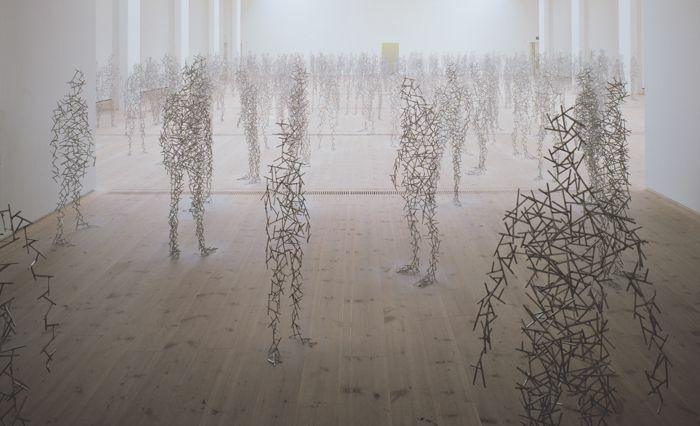 I recently met British sculptor Antony Gormley at the EGS summer session in Saas-Fee, Switzerland. Most of his works interpret the human body, and many of them replicate actual bodies — frequently his own. A deeply thoughtful presentation of his work during an evening seminar impressed on me that I had not really thought much before about the rich, expressive possibilities of sculpture. 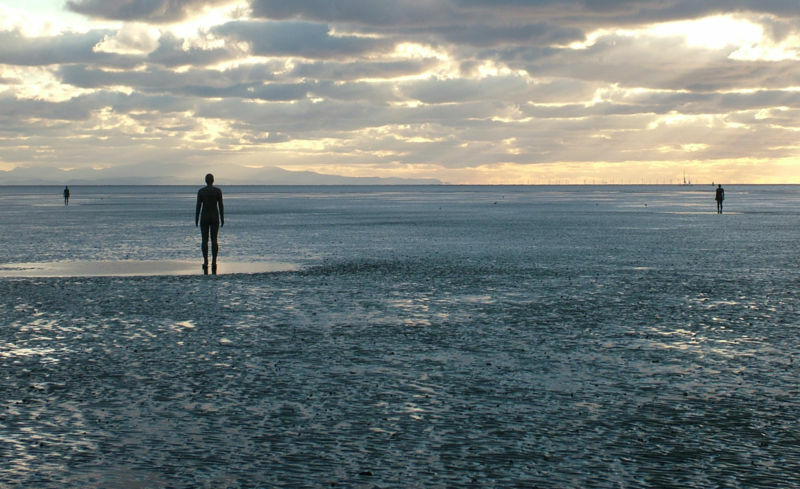 There’s certainly an interesting paradox about something as frail and transient as the human body being expressed in much hardier materials — and although this has of course been the staple of thousands of years of statue-making, Gormley’s own take feels unique, somehow proposing, or inviting, a new vision of the human form. Sculpture tries to inscribe human thought and feeling in geological time. Artists, and sculptors in particular, might justifiably argue that the real value and impact of their work lies not in the abstract ideas that explain it, but rather in the kind of experience — when one is confronted with its sheer physical presence — that it evokes. Even so, the notion of sculpture as a geological-scale statement of human concern is intriguing from a Long Now perspective. (Whether or how it actually brings that out for the viewer in any given case is another question.) But it would be great to hear from readers with further insights or examples of this kind of thought — and art.